– Maria Pentaraki, 13 July 2015. The author spent part of her summer leave campaigning for the ‘No’ vote in the referendum. SYRIZA has been the first leftwing party to lead a government coalition in Greece. Its electoral victory of January 2015 came as a result of massive mobilizations in Greece against austerity and neoliberal structural reform imposed by the Troika (the European Commission, European Central Bank and International Monetary Fund), the creditors of Greece, under the pretext of a public debt crisis. At this time, a national debt of €323 bn had been accrued due to bank bailouts, high military spending and low corporate taxation (Pentaraki 2013a). SYRIZA, a broad coalition of the full spectrum of the left, was part of the anti-austerity struggle and was able to capitalize on range of participatory interest. This initially brought a great surge of hope and exhilaration among progressive forces in Greece and globally about the prospects of social change and social justice that a left wing coalition led government could bring. This optimism was reinforced by the decrease in support for neoliberal and social democratic turned neoliberal governments worldwide, including Europe (Gill and Solty 2013). Hope – the desire for and expectation of something better – has a revolutionary potential as it enables the imagination and creation of possibilities to challenge the status quo. Hope always projects that there is an alternative to the status quo. Hope is infused in struggles to both overthrow neoliberal capitalism (Harvey 2005) and create spaces of resistance within it (Gibson-Graham 2008, 2012; Purcell 2013). Hope presents itself in the opportunities for transformation that exist within the “cracks” of capitalism (Holloway 2010) which in turn can act as “guides to the possibilities and constraints of ‘real world’ experimentation” (Gibson-Graham 2006:124). Both sets of struggles are empowering practices of hope, practices that open the possibilities of another, alternative world, which can be experienced and lived here and now and not just as an imagined (utopian) world for some other time, somewhere else (Zúquete 2011). As Ernst Bloch (1986: 3) claimed, the work of hope “requires people who throw themselves actively into what is becoming, to which they themselves belong”. Both struggles are needed to transform the oppressive status quo – it is not a question of one or the other (Gibson-Graham 2002). The first is needed because we have to act as opponents of capitalism and the second because we have to be “subjects who can desire and create ‘noncapitalism’ ” (Gibson-Graham 2006: xxxv-xxxvi). In Gramscian terms, both practices of hope are also counter-hegemonic as they have the possibility to challenge the neoliberal capitalist order of things. We assert here that hope is rooted in, and materialized through, the multi-scalar, transformative and emancipatory agency of people’s visions and struggles operationalized individually and collectively; outside as well as within party politics. In this piece we specifically focus and reflect on how SYRIZA provided initial hope and later disappointment for people engaging in party politics and seeking ways to create another world. The SYRIZA-led coalition encapsulated the desire to overthrow neoliberal capitalism and seemed to be a major step towards realizing the transformative potential of hope in Greece at a time of intense despair brought about by austerity policies and their resultant impacts, including high levels of unemployment, poverty, privatization of public assets, user fees in health care and the deregulation of labour conditions. Similar neoliberal reforms have happened elsewhere in Europe (Hermann 2007) and have led many scholars to argue that social Europe is dead (Hermann 2014a, 2014b). The ruling economic and political elite had succeeded in framing the neoliberal reforms and austerity measures as the only viable measures to address the crisis. In Gramscian terms, they had succeeded in imposing their interpretation and therefore also their hegemony. The TINA neoliberal discourse seemed to have succeeded at the policy level at least, despite the on-going struggles of progressive forces against it. The struggles in Greece are situated in global struggles against neoliberal capitalism. Thus, a government such as the SYRIZA-led coalition that was advocating for progressive social policies at a national level and for a social Europe instead of a neoliberal Europe, also brought hope to other progressive forces in the European Union and beyond. On taking office, though, the SYRIZA-led coalition engaged with its creditors, primarily with the European Union (via the European Stability Mechanism), in negotiations for five months, but could not implement any of its election campaign anti-austerity promises. The European creditors, like other loan sharks, threatened Greece with an exit from the Eurozone if it implemented any of its anti-austerity policies. The threats were clear – “you do what you are told or we kick you out” – without any regard for the democratic process. SYRIZA were elected with a mandate to stay in the Eurozone and did not have much room for manoeuvre as the Greek economy was being squeezed to death by its creditors as they progressively refused to accept Greek bonds and stopped emergency funding. These insights are more relevant than ever in the case of Greece, whose creditors, among them the European Central Bank, engage in economic bullying tactics aiming to shut down the Greek economy and then force the SYRIZA-led government to succumb to their demands. This has been a result of the interests of finance capital blackmailing the country into submission by threatening the collapse of its banking system, in order to dispossess it of its resources, raise profits and increase parasitic gains. In response to these processes, that we call the geopolitics of economic bullying, which operates at the nexus of finance, power and geography, Greek Prime Minister Tsipras announced a referendum in which the people of Greece were asked if they agreed with the European Union’s and other creditors’ proposals to continue austerity measures. In the referendum of 5 July 2015, the hope of an alternative to austerity was briefly intensified by the 61.3% “OXI” (“NO”) vote to the continuation of European Union-imposed austerity policies that, since 2010, had been warmly accepted by previous conservative and social democratic governments. It was a hopeful moment – a Gramscian moment challenging the “common sense” (Gramsci 1971) of the ruling elite, a moment created by the Greek people’s determination to resist the European Union, European Central Bank and International Monetary Fund threats. Hope, however, has subsequently diminished. Despite its strong democratic mandate, the SYRIZA-led government was forced to retreat and accept the acceleration of the European Union’s austerity policies that will lead to a further deterioration of socio-economic conditions and the widening of inequalities in Greece. Should we totally lose hope and stop imagining alternatives to this society? Has the neoliberal discourse of ‘There Is No Alternative’ won? Answers to these questions are informed by Gramsci’s (1971) famous maxim of pessimism of the intellect and optimism of the will. This informs our analysis that seeks to understand the difficulties that the SYRIZA-led government encountered in trying to negotiate within a neoliberal disciplinary governance model. Progressive forces in Greece and elsewhere need to be aware of the difficulties of attaining social change within neoliberal global capitalism, because, as Gramsci suggested, the challenge of modernity is to live “without illusions and without becoming disillusioned”. The Greek case reported here alerts us of the need to hold on to the belief in the possibility of another society and, at the same time, recognise the importance of maintaining the will to struggle, despite the existing structural difficulties that can cause demoralisation and disillusionment. The SYRIZA-led government was forced to retreat in a battle with representatives of neoliberal capital. The balance of power during the negotiations of the Greek government with the European Central Bank and Eurogroup made impossible any other outcome than defeat and subsequent enforced acceptance of further austerity. How can one anti-austerity government negotiate successfully when there are 27 pro-austerity government members of the European Union or as the only anti-austerity government among the 19 members of the Eurozone? Of course, it does not mean that in accounting for the structural difficulties encountered we should not question and learn from the Greek government’s strategy. It seems to us that the SYRIZA-led coalition government took a Habermasian informed approach to negotiation, rather than a conflict approach, despite the fact that many SYRIZA members of parliament are informed by the Marxist tradition. The leadership of the Greek government believed that that change is possible through debate and goodwill negotiations between “European partners”. The Greek leadership, in adopting discourse ethics, aspired to achieve what Jürgen Habermas (1984: 10) called the “the unifying consensus bringing force of argumentative speech”, and considered that its evidence-based arguments and communicative rationality about the ineffectiveness of austerity and structural reform measures would be effective. Greek finance ministers, first Varoufakis and then Tsakalotos, both professors of economics, have reported that they approached the negotiations with an academic, evidence-based approach as if they were presenting and debating with academic colleagues (see, for example, Mediapart 2015; New Statesman 2015). It seemed as though they were hoping that their evidence-based approach would be successful since their arguments were going to prove to the opposing side that the austerity measures of the Eurogroup were wrong. SYRIZA and its leadership aspired to achieve emancipation through reason (see Habermas 1984). However, because of conflicted agendas, discourse ethics as exemplified by the concept of communicative rationality have no direct application to the formal political system for, as Flynn (2004:436) argues, “while the application of discourse theory to the sphere of moral questions has been fruitful, political questions introduce further issues that cannot be settled solely by moral arguments”. SYRIZA seemed to forget that although pro-austerity proponents are not irrational they may not be as open to rational reasoning as one would expect from the historical tradition of the 18th century European Enlightenment (e.g. Mary Wollstonecraft, Hume, Rousseau, Olympe de Gouges) that provided the basis for people to use reason to come to conclusions about things in life. The pro-austerity opponents presented as stark neoliberal ideologues, or neoliberal bullies, who seek a society organized in the interests of financial markets rather than around human needs. This has been evident in how skilfully they managed to transform the private losses of banks into public debts and then use the pretext of public debt to deepen neoliberalism. Public debt has been used as a means of redistributing resources from people to institutions of finance capital. Resources have been taken away from the welfare state and transferred to the banks. In the case of Greece, 92% of the loans given to the country have gone back to European and Greek banks (Global Justice Now 2015). The evidence was enough to form the basis of analyses of them as class enemies. It seems to us that the class approach was missing from the Greek government’s negotiations; it seemed to think that it was facing “European partners” rather than class opponents. They hoped that they could exploit antagonisms between the countries of the European periphery (such as Italy, Portugal, Spain and Ireland) and the countries of the centre (such as Germany and France). They hoped they could also use tensions between new social democrats (for example, France and Italy) and neoliberals (for example, Germany) who were facing similar tough austerity policies. This was exemplified by numerous phone call contacts that the Greek prime minister made to other European leaders during the negotiations and that were reported with optimism on the main website for SYRIZA news, http://left.gr/ What they faced though was a ruling elite, in the form of the European Union, which in Gramsican terms is operating as a unified, transhistoric hegemonic bloc in which the restructuring and consolidation of states make them more open to the dominant forces of modern capitalism, including institutional investors and transnational corporations (Gill 1998: 11). The ruling elite has created a tight institutional framework to serve the interests of financial capital. The SYRIZA-led coalition, as the lone anti-austerity government in the EU, could never have overthrown the neoliberal European geopolitical structures, their power and current will. This explains the reasons why the leftwing anti-austerity politicians of the SYRIZA-led government were not successful even though they presented well-evidenced arguments, namely, that the continuation of the austerity policies have been disastrous for the country and the majority of its people (except, of course, the economic elite). Understanding the developments in Greece from a class perspective does not mean to solely engage in economic reductionism by reasserting the primacy of class, nor does it mean to focus only on structure and ignore agency. SYRIZA carries blame as it hoped that by acknowledging the debt (even though the vast majority of the debt had gone to Greek and other European banks) they would be seen to be negotiating in good faith. It may be argued that the current oppression of the Greek people cannot be disrupted by legitimizing the framework that caused it, for as Audre Lorde’s well-known maxim warns “the master’s tools will never dismantle the master’s house”. However, the case of Greece has highlighted that to aim towards improving the conditions of ordinary people within the current organisation of the neoliberal capitalist European Union seems futile. Reasserting the primacy of class does not mean that the need to continue the struggle in developing a counter-hegemonic project is forgotten, nor does it mean that the battle of ideas is ceased. The ruling elite has re-asserted its hegemony by reference to, and application of, the institutional framework they had built, and used the institutions it had created to discipline/bully opposing voices. Gill (1998: 5) warned of the new constitutionalism, the politico-legal dimension of disciplinary neoliberalism that “seeks to separate economic policies from broad political accountability in order to make governments more responsive to the discipline of market forces and processes”. This institutional framework was used to silence the opposing voice of SYRIZA-led government and then use it as an example of the futility of struggles within the European Union. Such social experimentation of a disciplinary nature that was carried out by the European neoliberal economic and political elite on Greece is, normally, rarely reported or debated in mainstream media and political discourse. However, relatively recently these issues have been increasingly demystified, for example by Mario Monti (former European Union Commissioner and member of the Goldman Sachs board of international advisors) who in January 2011 at a Brussels conference and in commending moves towards greater centralised European Union economic governance stated, “Thank you, Greek Crisis” (see Corporate Europe Observatory 2015). Since then, there has been intensification and deepening of neoliberal governance through the implementation of the New European Economic Governance (NEEG) (Degryse 2012; Pentaraki 2013b; Obendorfer 2012). The NEEG makes it almost impossible for social policies to be implemented and institutionalizes permanent austerity. This institutional framework confirms the Marxist assertion that the economic ruling class has been able to develop laws that support its interests. The NEEG is designed to hold great neoliberal disciplinary power in order to maintain the pre-eminence of capital. It maintains a panoptical surveillance watch over all member states in the European Union. It does not have a democratic mandate. In the case of Greece this was made crystal clear. Greece was crushed because it attempted to challenge the predominance of neoliberal policies and hence it had to be subjugated and humiliated in order to serve as a warning to other progressive parties and social movements in Europe who might aspire to gain electoral power. However, at the same time, cracks in the hegemony of the ruling elite started to appear. These cracks were opened during the process of the shattering of any illusions of a democratic and social, people-focussed Europe. The European Union is a disciplinary neoliberal geopolitical power, dominated by the interests of finance capital as demonstrated through the imposition of neoliberal structural reforms (Hermann 2007) under the pretext of a public debt. This accumulated public debt has been created through the implementation of massive bank bailouts and other class related practices such as corporate tax evasion. It is a public debt that, in the case of Greece, keeps increasing in order to service the original debt that has a clear class nature, such the bank bailouts (Pentaraki 2013b). In Gramscian terms, SYRIZA is a force that has managed to produce counter-hegemony and thus decrease the social legitimisation of the European project. The social basis of the neoliberal European project continues to shrink as economic, social and spatial inequalities are exacerbated. These recent developments have challenged leftwing party-affiliated people’s hopes, as they have witnessed a democratically elected government unable to carry through their socially-orientated policies. Is hope lost? Being informed by Gramsci’s maxim “pessimism of the intellect and optimism of the will”, we thus apply the concept of “grounded hope”. The concept of grounded hope acknowledges the difficulties of transforming society and also, at the same time, recognizes the possibilities of human agency to overcome these difficulties. In the case of Greece, the difficulties in implementing national policies have been overwhelmed by the neoliberal disciplinary power of the European institutional framework. Hope might not have been articulated through the retreat of SYRIZA, but it still remains. Informed by Lefebvre (1991), for whom the possible is grounded in and/or emergent from the actual, and by Gibson-Graham’s (2002, 2008) work on the encouragement of opportunities for change, we argue that the Greek people’s hopes had been pinned on the anticipation that SYRIZA would be able to implement change. In some respects, this too reflects an expression of the instinctive and the emotional (anticipation) in order to realize hope through the attainment of social and political acts. These acts can be manifested in spaces of hope (Harvey 2000) and democratic spaces of autonomy and solidarity in which people rule themselves (Purcell 2013). Democratic spaces of hope exist in Greece in the solidarity networks such as solidarity health clinics and pharmacies, which operate outside the capitalist mode of production. They also were demonstrated in the struggle for self-management of Vio.Me. The workers of Vio.Me, a building materials factory in Thessaloniki which was abandoned by its owners, were unpaid for months after May 2011. Following a decision by their general assembly, they occupied the factory and operated it under direct democratic workers’ control. After a year of struggle that attracted attention and solidarity in Greece and worldwide, they resumed production under self-management on 12 February 2013 (see Vio.Me 2015). This chimes with Harvey (2000) who asserts the importance of changing working and living environments across the interface between macroscale political and economic activity and the microscale actions of individuals and their bodies. It also evidences Purcell’s (2013) observation that people find and claim their democratic power in novel, creative ways. These actions are conceptualised by Gibson-Graham (2002:34) as “micropolitical experiments”. It might seem that resistance to neoliberal globalisation necessitates global resistance, but we concur with Gibson-Graham’s argument that there are these other ways of “practising transformative politics” (2002: 34) which can serve as “performative practices for other worlds” (2008: 613). These reconfigurative spaces provide optimistic glimpses of another society, which should be celebrated as part of wider resistance to neoliberal capitalism. At the same time we should not lose sight of the need to marshall progressive forces across national boundaries to restructure societies in order to meet human rather than corporate needs. After all, the anti-austerity struggle is not only a struggle of the progressive forces in Greece but is also an international one, shown in the rise of Podemos in Spain, De Linke in Germany and increasing support for anti-austerity politics in the United Kingdom. It is important to keep building a European and international progressive bloc that can challenge austerity generally. SYRIZA was not able to the break Europe-wide austerity, confirming Lenin’s (1917) point that the weakest link of global capitalism cannot break global capitalism/imperialism. Reclaiming hope is based on the realization of the difficulties but also in the necessity of another society. Identifying the structural limitations delegitimizing the European neoliberal project is important in order to maintain hope. In the first internationally significant battle against austerity the SYRIZA-led government was unable to materialize the hopes of the Greek people, but the war against austerity continues worldwide and keeps hope alive. A hope that is grounded in the 61.3% “no” vote of the referendum. The 61.3% “no” vote reflects the possibilities available to transform the “no” into an instrument of anti-austerity and social change. Harvey’s (2000) concept of “dialectical utopianism” may be a helpful means to contexualize these changes and maintain the possibility of hope through having the courage of mind to envisage a different sort of society. This courage of mind is also a Gramscian call to break with the hegemony of the ruling class. It is a call to dream that there is an alternative way, and it is also a call to create this other way in and through small spaces of resistance. Current events in Greece show how democracy can be recreated through small spaces of resistance. We do not suggest that another world is possible without significant organised resistance for at a global level neoliberalism has immense power. What we argue instead is that these examples from Greece offer glimpses of another world – a world built on solidarity. However, we need to be careful not to romanticize these examples as in many cases they occur to fill a gap that the withdrawal of the state from welfare provision causes and in many instances people who are part of such solidarity networks would prefer there to be a strong welfare state. This is suggested in the case of the Metropolitan Community Clinic at Helliniko in Athens, a solidarity network that, since 2011, has supported uninsured people with free primary medical care and medication. In 2015, when MKIE was awarded the European Citizen’s Prize that the European Parliament awards to those who provide social assistance on a voluntarily basis, it refused to accept it. They claimed that the award was hypocritical since the need for MKIE had been generated by European austerity policies (Keep Talking Greece 2015; MKIE 2015). Of course, except for the solidarity examples that have emerged as a result of the devastation caused by austerity, there have always been autonomous examples of prefigurative politics. Thus, we also agree with the assertions of Purcell (2013), Graham-Gibson (2008), Federici (2013) and Caffentzis and Federici (2014) that solidarity networks are spaces of hope and offer a vision of another world beyond the confines of neoliberal capitalism, a world built on egalitarian lines and a world that does not commodify social relations. This is a vision that keeps hope alive. It is a vision that keeps the struggles for another world going and a vision that motivates anti-austerity struggles either outside or within party politics. What will happen to SYRIZA, a party that emerged to encompass the possibility of an alternative to neoliberal capitalism, remains to be seen, particularly after some SYRIZA members and MPs who were against the implementation of the creditors’ neoliberal measures and austerity conditions broke away from the party in August 2015 to create a new political front, Popular Unity, with a staunchly anti-bailout/anti-austerity agenda. At the time of writing it is unclear whether the SYRIZA-led government’s acceptance and implementation of European neoliberal measures is a result of economic bullying and a tactic for buying time to regroup its forces to formulate a new anti-austerity offensive, or if the implementation of the austerity measures is an acceptance of the neoliberal TINA discourse and/or a manifestation of how power can corrupt principles and values. 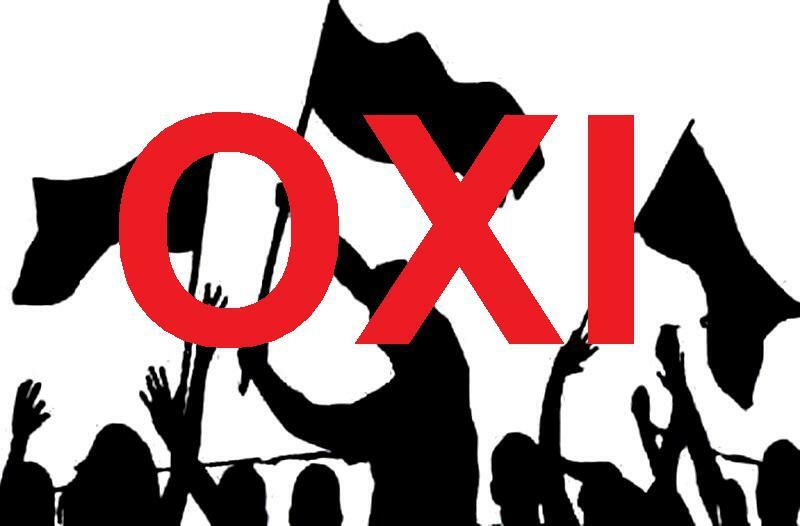 One thing is sure, the anti-austerity struggles continue either within or beyond party politics and the “OXI” mandate of the referendum is still alive and fighting. 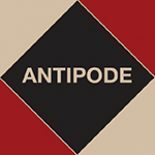 This entry was posted on 20 October 2015 by Antipode Editorial Office in Interventions and tagged anti-capitalism, anticipation, austerity, banks, Bloch, coalition politics, communicative action, Crisis, debt, democracy, European Union, Eurozone, Gramsci, Greece, Habermas, Harvey, hope, J-K Gibson-Graham, Lefebvre, neoliberalism, non-capitalist space, political parties, Purcell, social democracy, solidarity movements, spaces of hope, SYRIZA, the Troika.